It is the last Thursday of the month and we ALL should what that means! It is time for the A Paper Pumpkin Thing blog hop! 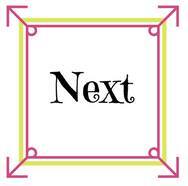 If it is your first time joining us we are a group of super talented Stampin' Up! Demonstrators that are showcasing alternative ways to use these amazingly fun kits! The fabulous Mini Pizza boxes are available in our Holiday Catalog and I just couldn't wait to wrap that gold foil gingham around one of them. It was totally perfect to layer up the leaves on top of this! So easy and cute! 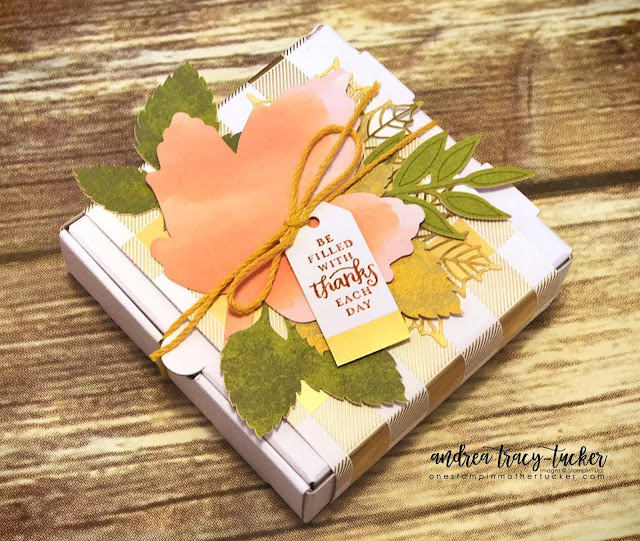 I stamped the sentiment using the Cajun Craze ink from the kit onto the tag and tied it around the leaves and box with Crushed Curry Bakers Twine... No joke! DONE! Thank you so much for stopping by! I can't wait for you to see what the amazing Jennifer Hill has come up with! You can get to her by clicking the next button below! Labels: A Paper Pumpkin Thing, Layered Leaves, Mini Pizza Box, Paper Pumpkin, Stampin' Up! Love your little box!! We had a similar idea so we must be super awesome. Hahhhahaha or very similar!! Why fix something that ain't broken? Pizza boxes seem to be the perfect addition to this kit. I wonder if SU planned it that way!